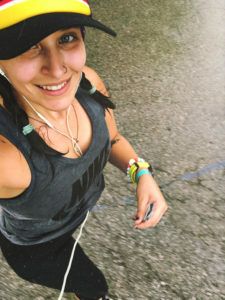 Renee Stefani: Renee has been running for almost eight years, and has completed 14 half marathons and numerous shorter distances. She is originally from Western Kansas, and moved to KC five years ago. 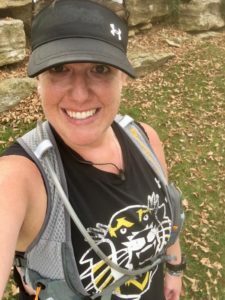 She enjoys the endless trails that Kansas City provides, and loves to run with her husband, her mom, sister, and lots of friends she’s met in the running community. Renee also enjoys biking, watching baseball, and traveling. She’s very excited to run the Gobbler Grind half marathon this year. 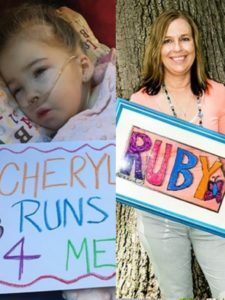 With her ambassadorship, she hopes to further spread the word that running truly is for everyone, and there is no such thing as a bad run! Ashley Dailey: I took up running in 2013 as a way to lose weight and get healthier. I had tried other forms of exercise, but nothing really stuck until I discovered how much fun running was. One I did I was absolutely hooked! 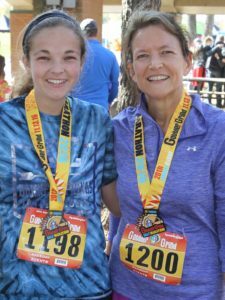 I ran my very first race, a half marathon, in 2015 and fell in love. Since then I’ve run several other half marathons and I’m super excited to be running the Gobbler Grind for the second year in a row! 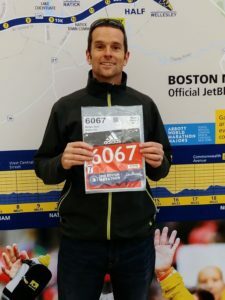 Rich Benjes: Rich Benjes has been an avid runner since 2006 and has completed 13 marathons, including the 2018 Boston Marathon. Having participated in the Gobbler Grind marathon three times, Rich is excited to be to be part of the ambassador program and give back to the race and the sport. His goals for this year include encouraging as many people as possible to join him in having a great time, and finishing a marathon sub-3:00. “Generally, my goal every year is to be better than the prior year. There always seems to be something I would do differently or improve upon. Running has been a continual learning process. It’s a puzzle and I am still finding pieces”. A busy father of three, Rich enjoys the portability of running. “Provided even a little window of opportunity, it’s something I can do wherever I am in the world.” Favorite run of all time: Grand Canyon.